Louth County, Ireland Horse Directory - O Horse! 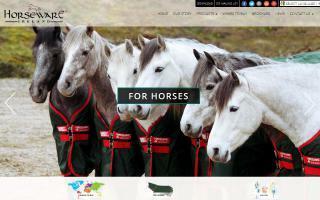 Supplies and clothing for horse and rider. Equipet is a pet, equestrian, and outdoor clothing retailer with three large stores in the North East of Ireland: Navan, Co. Meath, Ashbourne, Co. Meath, and Drogheda, Co. Louth. Equipet was established in 2006 and was the first store of its kind in Ireland to bring pet and equestrian retailing together through clear presentation of goods and the best value for money across a range of new and established brands. Home of the World Famous Rambo and Rhino Rugs. Horseware has a huge range of equestrian products for horse and rider.